Asking: “Can someone write my case study for me?” Do you have a case study that’s to be written on any specific condition or instructions and you’re much concerned about the full write up? Our writers have drawn extensive experience working with product, tech and data teams, connecting and coaching people, inspiring ideas and developing resources to create measurable impact. Why do you think Toyota had waited so long to move much of its manufacturing for European sales to Europe? The automobile manufacturing industry is very complex and requires high capital or intensive capital investment. The aim of the companies in the industry just like any other business is to increase profits and reduce the cost of operation. Immediate opening of Toyota’s operations in Europe meant that the company would have to incur costs associated with acquiring new manufacturing facilities, employees and much more at once. Therefore, this means that the viable choice for the company was to grow into the process rather than an immediate decision. 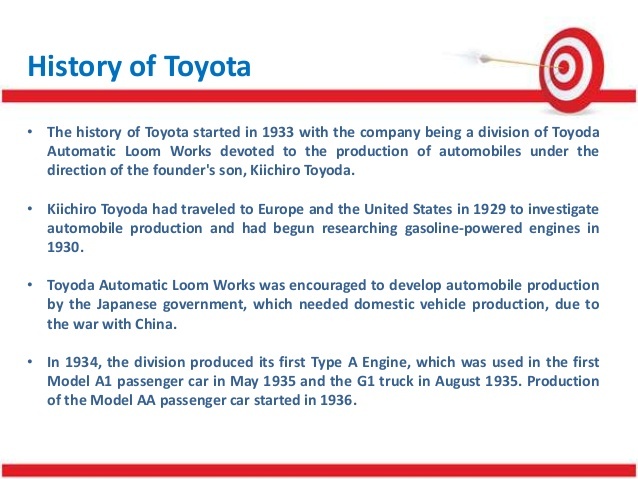 Additionally, Toyota like many other manufacturers wished to continue enjoying the benefits of scope and scale in manufacturing for as long as they could. As a result, the company resisted the movement of manufacturing into the regional and local markets (Toyota’s European Exposure 8). If the British pound were to join the European Monetary Union would the problem be resolved? How likely do you think this is? The UK prides itself to be the beneficiary of being the only major European country that is not euro based. There joining the European Monetary Union would eliminate the currency risk between Europe and UK but will not eliminate that between Japan and Europe. It would also remove the deviations in currency value between the euro and the UK pound which would not be of much influence. Therefore, this means that the change would not be of so much help to the Toyota company predicament (Toyota’s European Exposure 8). If you were Mr. Shuhei, how would you categorize your problems and solutions? What was a short-term problem? What was a long-term problem? According to what I have summed up from the case study, the problems in Toyota seem to be exchange rate induced pricing problems. The fall in the value of the euro against the Japanese yen between 1999 and early 2000 was the most significant and affected the company significantly. Most manufacturing operations had moved to North America while the company still tried to continue the services in Europe through exporting from Japan. The continuing strategy was introducing a European-targeted product which was the Yaris Toyota model. It was however not a good strategy putting into consideration the directions of movements in exchange rates that took place during the time. It was advisable to continue absorbing yen-based cost increases, through lowering margins on European sales and assuming the market would not bear a going through the exchange rate changes to solve the short-term problem. In the long run, a solution would be to move the company’s operations the European Monetary Union ("Toyota's European Operating Exposure"). One of the many options that the Toyota company had was to continue incurring the operating losses and putting market share objects above profit making by keeping the current pricing and operating policies. As a result, the euro would regain its weakness against the Japanese yen. The continued operations of Toyota in the UK as the UK stayed out of the European Monetary Union would continue being a part of the problems the company was experiencing; therefore, it would mean that the company withdraws its UK operations or the UK joins in the European Monetary Union. The later had been in the considerations by the country. The other solution would be to move more of the company’s cost structure and manufacturing operations within the EMU just like other multinational corporations. The activities would take place in any location in Europe that is not the UK (Toyota’s European Exposure 9).